Sip, Sample, Savour! is a series of exclusive events that will be sure to please your taste buds! Three nights, four breweries, four distilleries, five wines, and a whole lot of food! 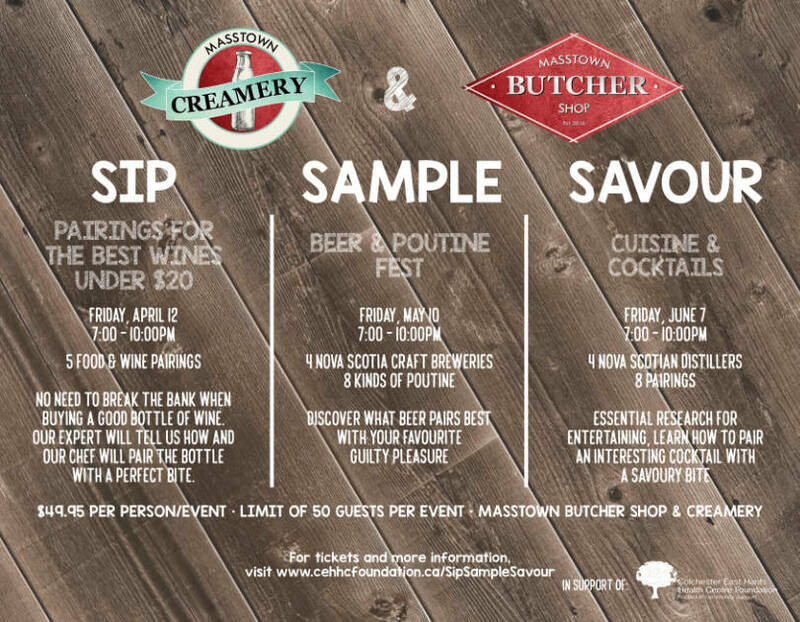 Held at the beautiful new Masstown Butcher Shop & Creamery, each event will be limited to 50 guests. Get your tickets now – only $49.95 each. 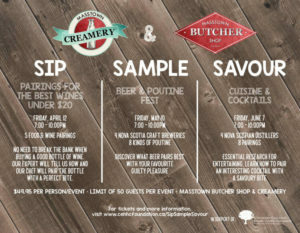 Beer & Poutine Fest – Discover what beer pairs best with Canada’s favourite guilty pleasure! Featuring 4 Nova Scotia craft breweries and 8 different kinds of poutine. Breweries to be announced soon.